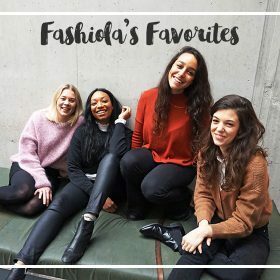 Interested to find out what a bubbly team of Fashiola fashion editors might have as their monthly must-haves? Well we've come up with the perfect segment with each editors top 100 products which we think are must-have pieces for the month! Lena, lead editor for Fashiola France. As we know France is home to some of the most world renowned luxury designers, and Lena has keeps it chic with her style selections, making casual outfits look effortlessly next level. After spending some time living in Stockholm, the minimalist style might have rubbed off a little. February: time to experiment with new pieces! This years trending colours are coral and utility greens. Mix and match street style with high end sophistication. Editors do their best to stay on top of the latest trends but unfortunately, there's only so much we can fit in our closets - but we'd hate for you to miss out! From luxury to bargains, our top 100 will be refreshed with our new favourite products and emerging brands every month.